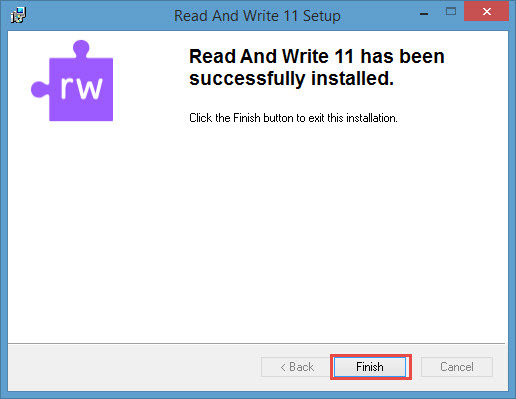 This document will walk you through installing Read&Write Gold 11.5 on your personal computer. 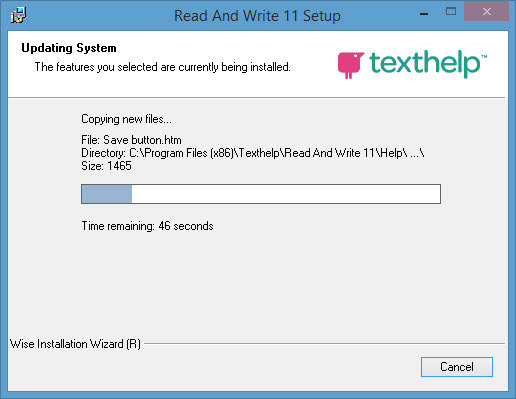 To begin, visit the ITS software download page to download the installer onto your local computer (beware, the installer is a very big file, approximately 1.3GB in size, so it might take a while). 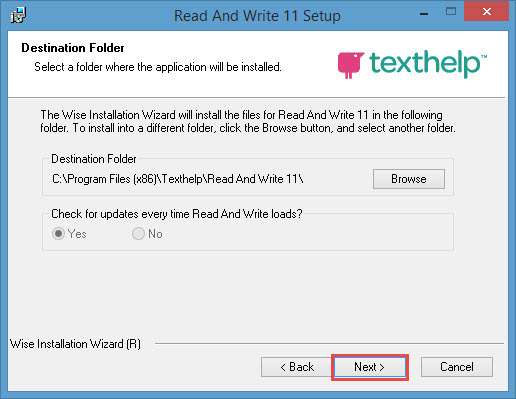 Once you have the installer saved locally on your computer, double click on it to begin the installation procedure. Once you have double clicked the installer, you will be presented with the licensing information. 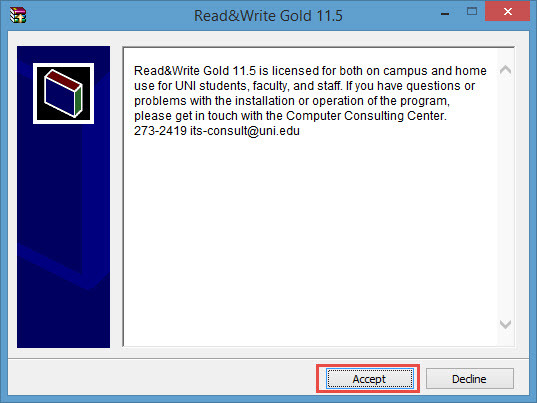 You are licensed to run this software on your personal computer as long as you remain a UNI student or remain employed by UNI as faculty or staff. Click the Accept button to continue. After clicking accept you'll be taken to the extraction information screen. Simply click Install to begin extracting the installation files to a temporary location on your computer's hard drive. 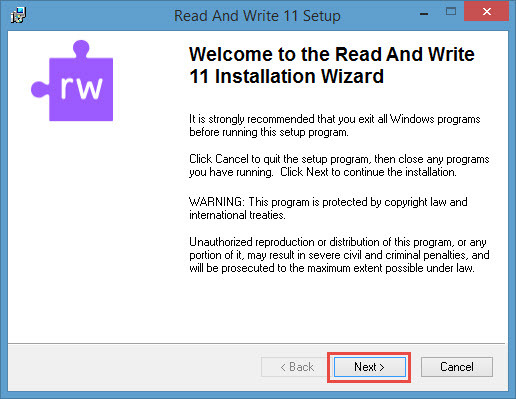 The files will extract and when done, you'll be taken to the Read and Write 11 installation wizard (this version will actually install version 11.5). Click Next to proceed. 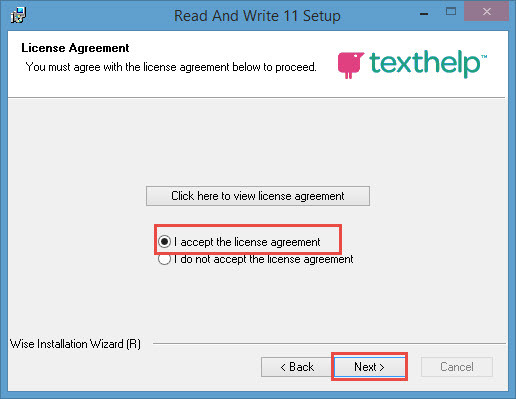 On the Read and Write license agreement screen, select I accept the license agreement and then click Next. 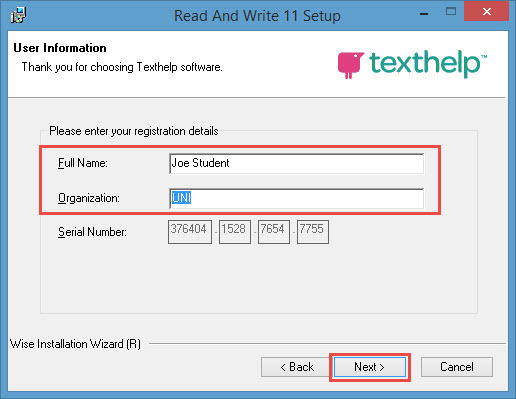 On the User Information screen, enter your full name and your organization. Then click Next. On the Destination Folder screen accept the default (you can't change it anyway) and click the Next button. On the Ready to Install the Application screen, click Next. 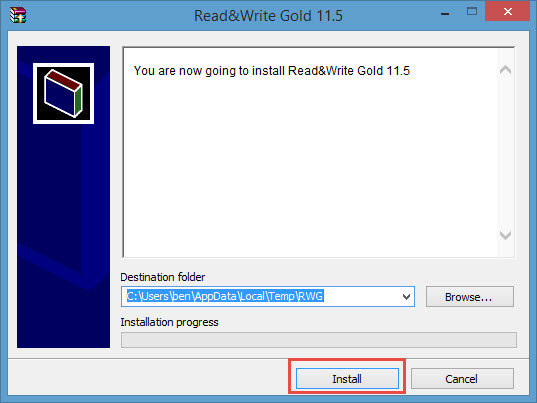 Read and Write Gold will be installed onto your computer. The installation process will take a few minutes depending on the speed and processing power of your computer. 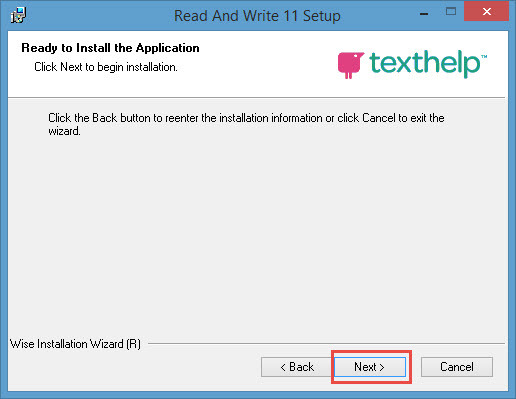 After the installation is complete, you'll be taken to the successful installation message. Click Finish to complete the process. Double click it to start the application. The first time the application launches, you will be presented with an activation screen. Just click the Activate button. Once the activation process is complete, the application will launch on your computer.